Yahoo team integrated a new Messenger module on My Yahoo Beta. My Yahoo! is a Yahoo service that allows you customize a page with modules of your favorite content from Yahoo! and around the web, including weather, news, movies, music, and more. The new Yahoo! Messenger module embeds a lightweight Messenger window right into your My Yahoo! Beta page. To add the Yahoo! 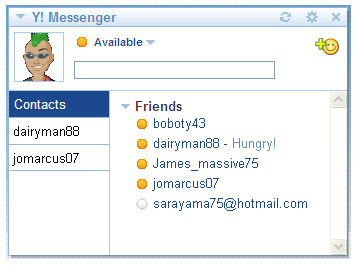 Messenger module to your My Yahoo! Beta page, click the “Personalize this Page” button at the top. Click the “Add Modules” link under Content, and then do a search for Messenger. From the search results, click the “+ Add” button next to Yahoo! Messenger. Then be sure to click the “Sign in” link in the Messenger module to make yourself available (or invisible).